The Performance Fish borrows the narrower nose from a Thruster to allow more vertical snaps and reduce hang-ups on re-entries. From the mid-point back the template is a more conventional fish shape – wide and fairly straight to the hips, with a slight curve into the swallow tail. This places a lot of surface area under your back foot and provides exceptional drive through turns. 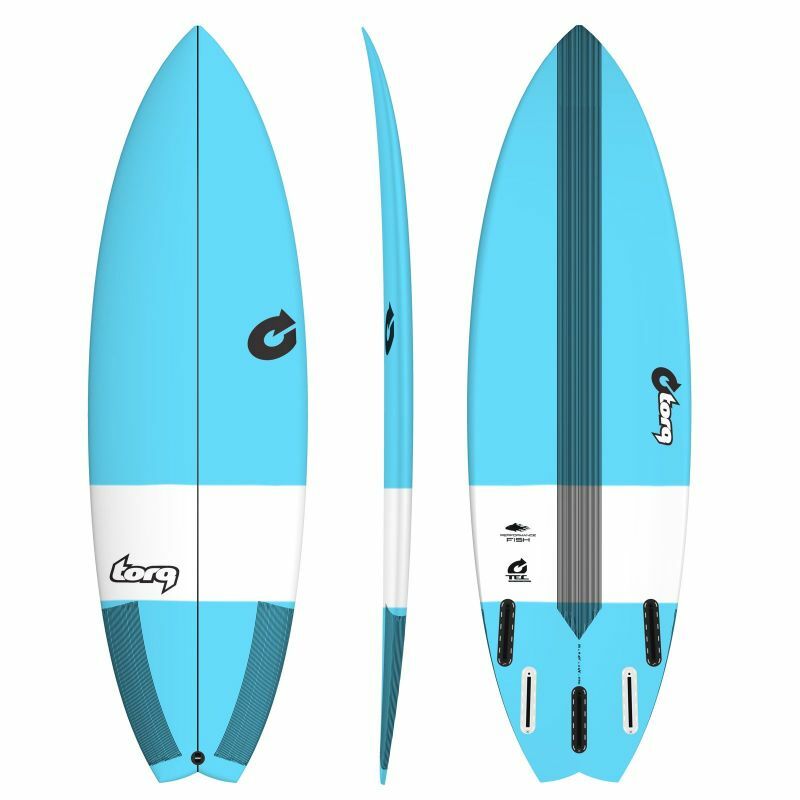 The double concave between the fins leading into the swallow tail makes this board transition quickly from rail to rail and increases responsiveness. The Performance Fish has 5 Futures fin boxes and works equally well as a Quad or Thruster. 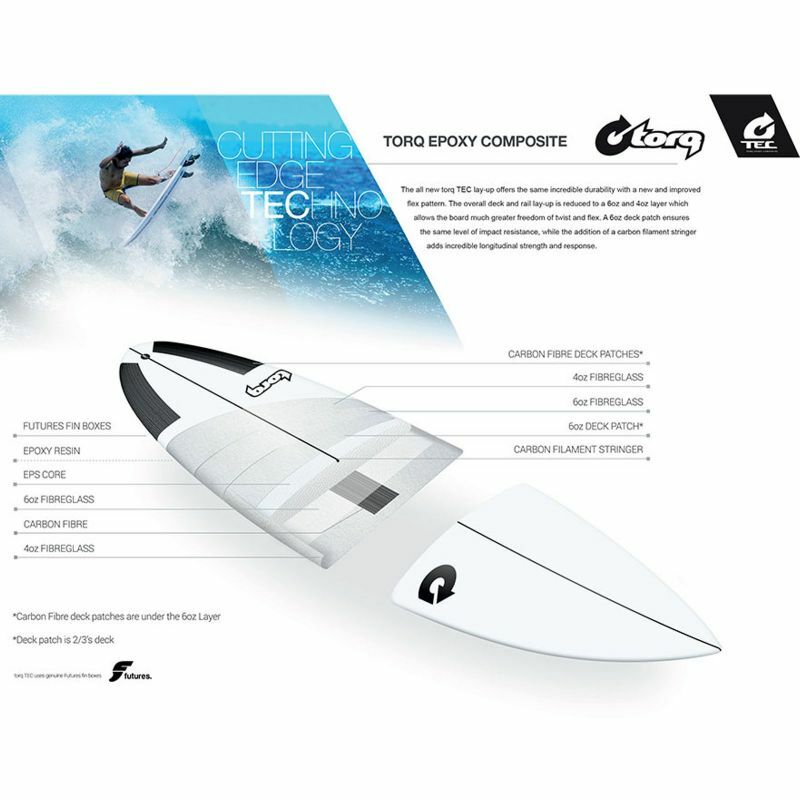 The all new torq TEC lay-up offers the same incredible durability with a new and improved flex pattern. 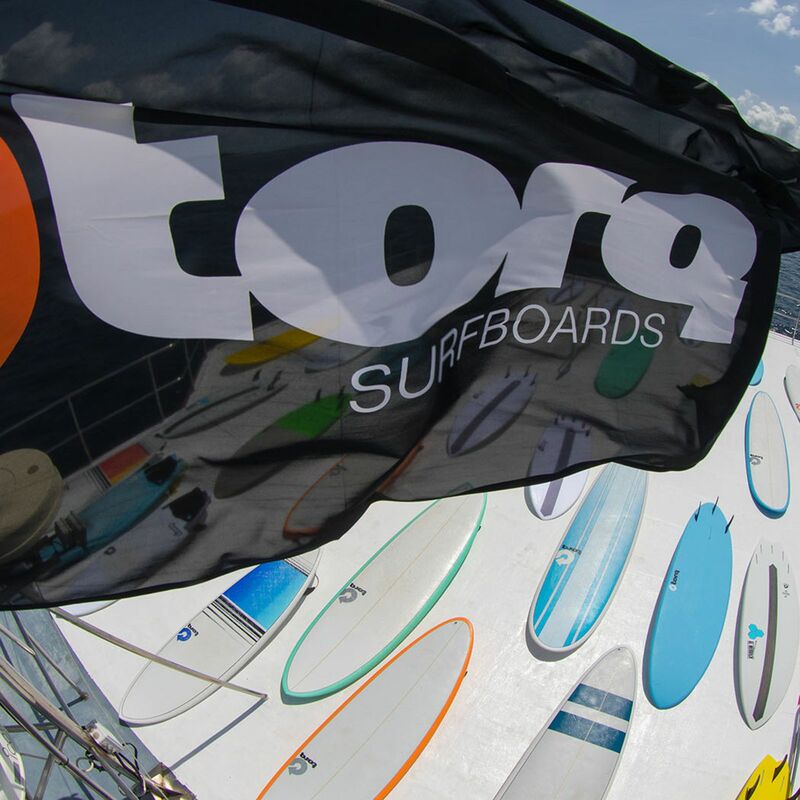 The overall deck and rail lay-up is reduced to a 6oz and 4oz layer which allows the board much greater freedom of twist and flex. A 6oz deck patch ensures the same level of impact resistance, while the addition of a carbon filament stringer adds incredible longitudinal strength and response.